Feed your curiosity at Renaissance ClubSport Walnut Creek Hotel, located across from the BART station for easy trips into downtown Oakland or San Francisco. Plus we're the perfect starting point for Napa Valley wine tours. Ask our Navigator for recommendations or to set up a tour. Embrace the unexpected with electric car charging stations and valet parking. The Citrus Fresh Grill offers a breakfast buffet with dishes made from wholesome, local ingredients, while the chic Citrus Lounge is the ideal setting for after-work drinks. Recharge with a treatment at R Spa, part of our hotel's 85,000-square-foot fitness center, and take advantage of free fitness classes and our Junior Olympic-sized pool. 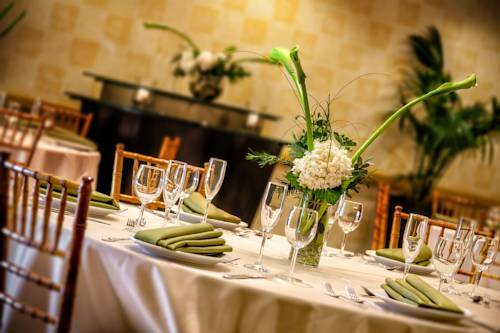 Our modern event venue includes two indoor spaces and an outdoor patio, paired with professional event planners. Rest on luxury bedding in our upscale hotel rooms, which feature flat-screen TVs, open work desks and free Wi-Fi. Upgrade to a suite for a separate living area. It's Business Unusual here in Walnut Creek. Citrus Fresh Grill: Discover something different at the Citrus Fresh Grill in the Contra Costa Centre. This hotel restaurant offers a breakfast buffet plus a variety of salads, burgers and other entr es for lunch and dinner, all made from fresh, wholesome ingredients. Citrus Lounge: Join us at our on-site restaurant for lunch, dinner or after-work drinks. Our chic hotel lounge serves an extensive variety of local beers, wines and signature cocktails, plus locally inspired dishes that add an intriguing touch to any occasion. Citrus Fresh Market: Find a quick meal when you need to head out for a day of meetings or sightseeing in Walnut Creek and beyond. The Citrus Fresh Market stocks a wide selection of naturally delicious sandwiches, smoothies and snacks.